Are you an author who is confused, frustrated and tired of telling everyone about your book, and not seeing the money in your bank account to support your hard working efforts? Think Like a Bookpreneur is a crash-course for authors, and that “ah ha” tool to remind you of the possibilities, opportunities and advantages of being a brilliant writer! In this conversational and action-oriented book, award-winning entrepreneur and Forbes contributor, Tieshena Davis shares her expert advice and bite-sized guidance on how to use your book as a launch pad to build a profitable business model for long-term success beyond book sales. 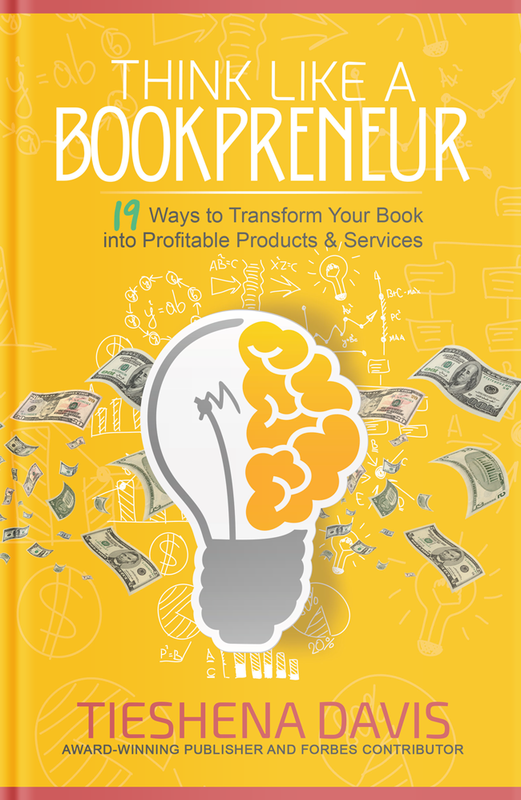 The fastest ways to generate money from your book. How any author can smoothly transition into entrepreneurship. How to stand out from your competition with your core message. Non-traditional marketing and sales strategies. Why author branding is important for platform building. How to create a simple 1-page business plan. How to quickly increase your visibility and credibility. If you’re stuck trying to figure out what to do next–it’s a no brainer. Read this book, show up, dominate and be great! 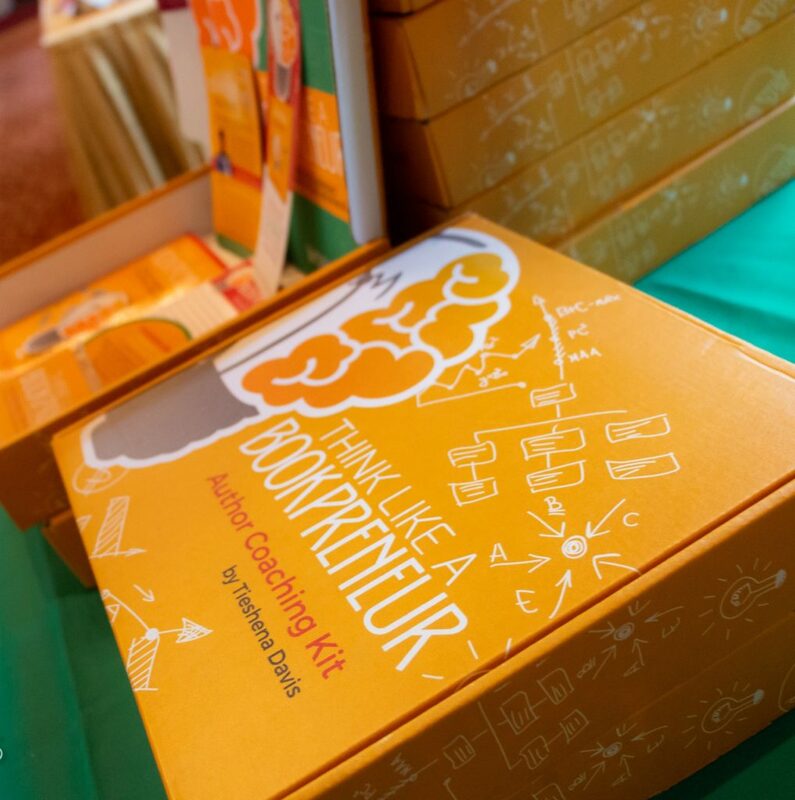 The Think Like a Bookpreneur™ Author Coaching Kit is structured as a portable educational tool, designed to help you turn your book idea into a profitable business. Equipped with practical step-by-step guidance from award-winning publisher and entrepreneur Tieshena Davis, the kit combines everything you need to properly plan and monetize your writing for long-term financial success! Copyright 2019 © Tieshena Davis. All rights reserved.